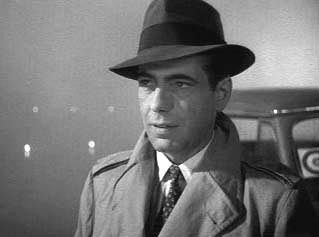 Humphrey Bogart, in World War 2 Morocco, in the role that made him a romantic idol. 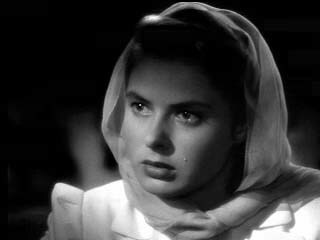 Director, Michael Curtiz, created an unforgettable romantic drama with this timeless, war time feature. 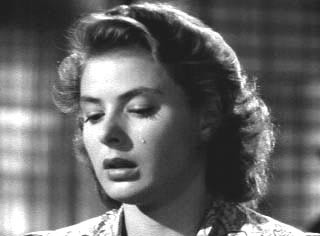 The cast includes: Humphrey Bogart, Ingrid Bergman, Paul Henreid, Claude Rains, Sydney Greenstreet, Peter Lorre, Conrad Veidt, and Dooley Wilson. 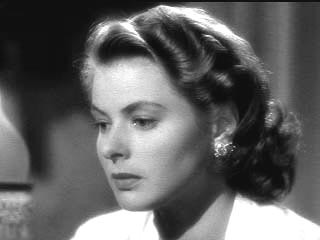 #2 on the AFI Top 100. 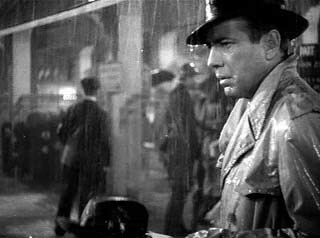 Eight Oscar nominations; three wins (Best Picture, Best Director, and Original Screenplay). 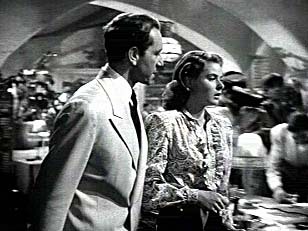 In search of elusive travel papers to get out of the grasp of the German Nazis, a woman, Ilsa Lund Laszlo (Ingrid Bergman) and her husband, Czech underground leader, Victor Laszlo (Paul Henreid), both end up looking for the one man in Morocco who can help them get out; expatriate and freedom fighter, Rick Blaine (Humphrey Bogart). 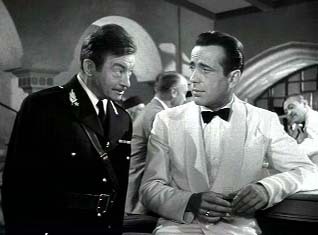 Rick runs a popular nightclub in Morocco, during World War 2. 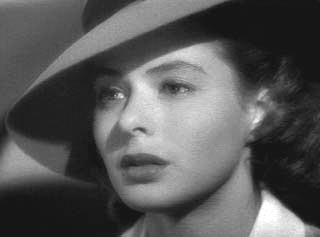 In the course of the film we learn lessons about love, betrayal, friendship, and patriotism. 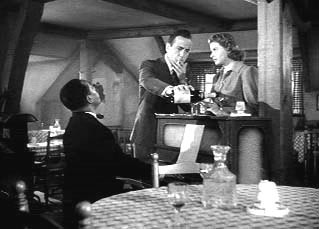 This film is a classic because of great cast, fine script, and memorable music, particularly “As Time Goes By.” The film won three Oscars: Best Picture, Director, and Screenplay (by Julius & Philip Epstein, and Howard Koch, based on the play, “Everybody Comes To Ricks”). 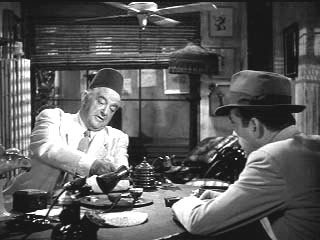 The involving screenplay was written by Julius & Philip Epstein and Howard Koch, and is based on the play, “Everybody Comes to Rick’s,” by Murray Burnett and Joan Alison. 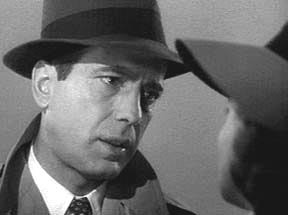 The dialogue and the suspense of the story are both elements in this story that makes it truly special. 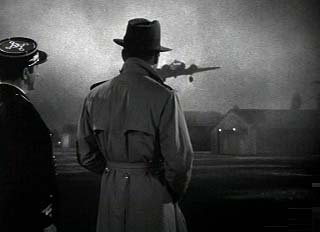 The marvelous direction was by the prolific Michael Curtiz, an originally European filmmaker, who did every kind of film genre for the Hollywood studio Warner Brothers, mostly during the 1930’s and ’40’s. 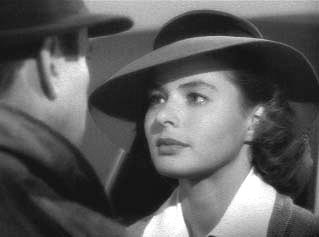 “Casablanca” and “Mildred Pierce” are considered his best masterpieces. 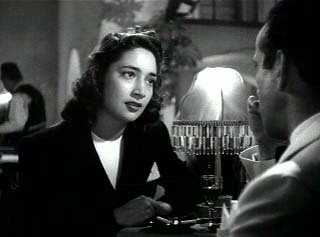 The pacing and the performances in this film reflect on Curtiz’s skill in working with his actors and actresses, putting the spirit of the screenplay into the scenes of this marvelous film. 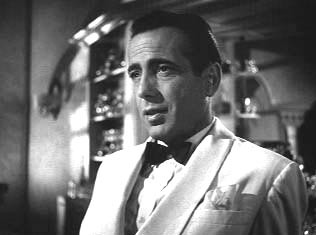 My favorite scene takes place late at night at Rick’s bar. 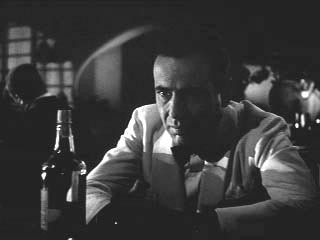 Bogart drinks and smokes alone. 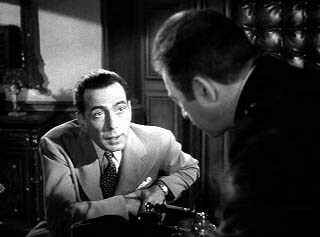 Bogart’s expression is one of doom. 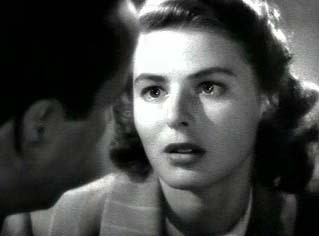 When the door opens, Bergman appears, as if in a dream, bathed in light. 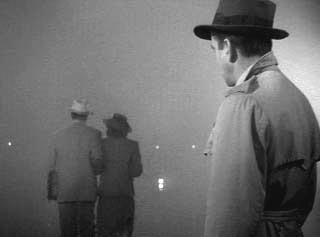 It’s a fine example of 1940’s atmospheric film making. 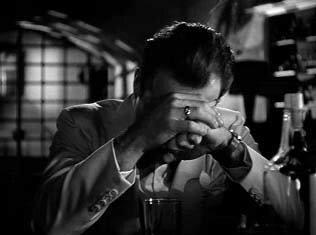 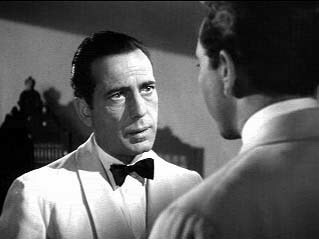 Humphrey Bogart is very convincing as Rick Blaine, an ex American patriot who owns a night Club in Morocco, and is called on to help an underground leader and his wife escape the clutches of the Nazis. 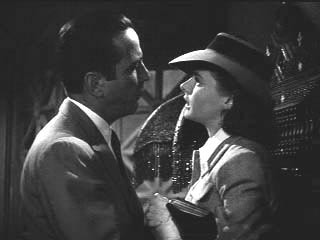 This is the movie that, improbably enough, made the short, lisping, unhandsome Bogart a romantic figure. 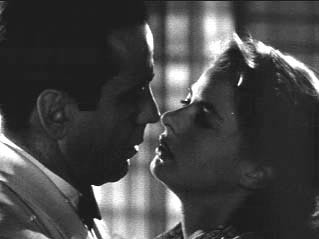 Interestingly enough, Ronald Reagan and Ann Sheridan were seriously considered for the roles that Bogart and Bergman eventually played. 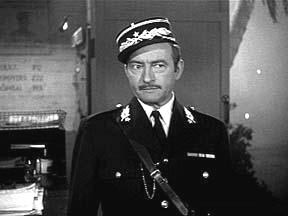 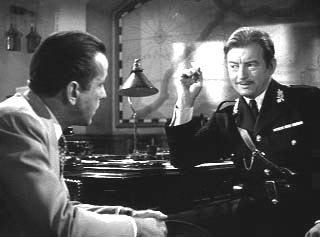 Claude Rains was wonderful in his portrayal of Captain Louis Renault, Prefect of Police, who finds himself between a rock and a hard pace when the Nazi’s take over the town, and he must decide whether to do the right thing or succumb to pressure. 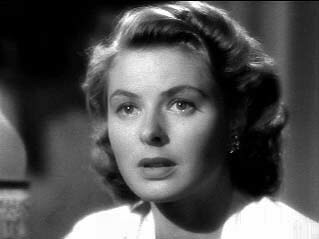 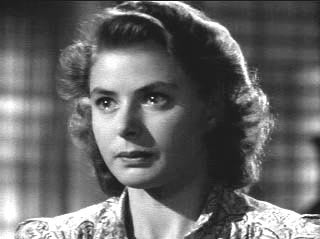 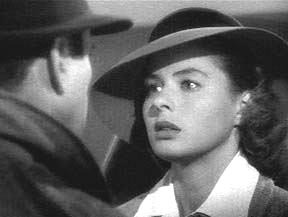 Ingrid Bergman gives a heartfelt performance as Ilsa, whose past relationship with Rick clouds her thinking, makes her situation more difficult, and gives her a new dilemma to deal with. 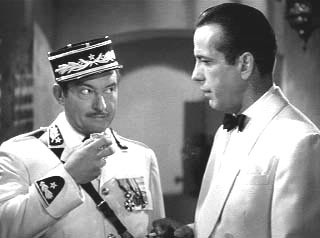 Luckily for the filmmakers, the film was released shortly before a highly publicized war conference that took place in Casablanca. 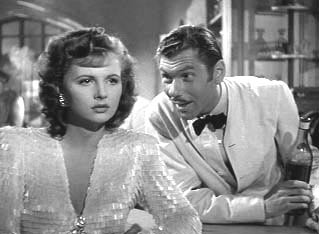 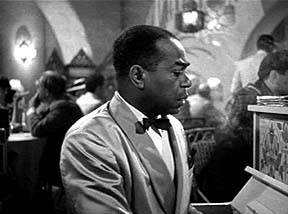 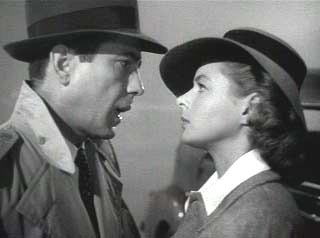 “Casablanca” benefited greatly from the fortuitous publicity. 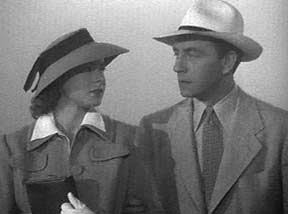 If you enjoyed CASABLANCA, you may like Woody Allen’s PLAY IT AGAIN – SAM, THE MALTESE FALCON, TO HAVE AND HAVE NOT, and THE BIG SLEEP.